Washington Square Press, 9780743454537, 448pp. 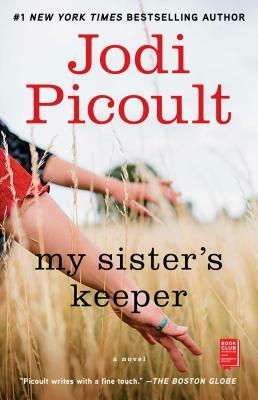 Booklist (Starred Review) My Sister's Keeper is a beautiful, heartbreaking, controversial, and honest book. People (Critic's Choice) [Second Glance] is a fast-paced, densely layered exploration of love, the pull of family and the power of both to transcend time. Publishers Weekly (Starred Review) A spellbinding suspense novel. USA Today Picoult's characters are so compelling that the reader hopes this won't be the last time we meet. The Boston Globe Picoult writes with a fine touch, a sharp eye for detail, and a firm grasp of the delicacy and complexity of human relationships.